Providing you the best range of coal fired boiler, wood fired boiler, husk fired boiler and electric heater fired steam boiler with effective & timely delivery. PETMAX is a Coal Fired Boiler, the next generation PETCOCK fired boilers from BALKRISHNA, are designed to provide low cost heating with fuel efficiency as high as 76 %. Internal nozzle bed combustion, gives higher residence time to facilitate to complete combustion, thus improving for efficiency. 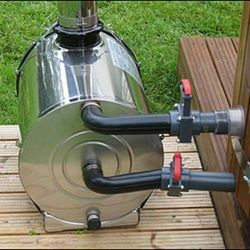 The Biomax is a Wood Fired Boiler. Its high performance modern styling confirms to the most exacting standards of safety, performance and efficiency. 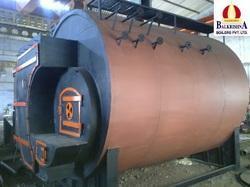 This boiler is manufactured with the latest engineering techniques, for burn biomass agro fuel. The most critical parts used in BIOMAX are the best in the world by any standards for biomass fuel. The performance of BIOMAX depends not only on your own alertness and on familiarity with the boiler and its components, but on its mechanical installation, running attention, and maintenance as well. Our efficient, highly qualified specially trained service personnel are available for guidance during in installation, operation and maintenance of this boiler. Huskpower-Ultra is a Husk Fired Boiler , the next generation rice husk fired boilers from BALKRISHNA, are designed to provide low cost heating with fuel efficiency as high as 75 %. Bubbling bed combustion, gives higher residence time to facilitate to complete combustion, thus improving for efficiency. Capacities From 1 TPH to 2 TPH. 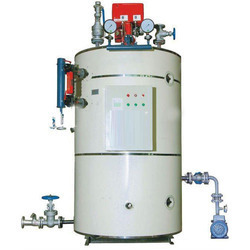 We bring forth an impregnable range of Electric Heater Fired Steam Boiler are fabricated using stainless steel tube of electric heating technology, these are made under the supervision of our experts who has a vast knowledge in this product that are made using advanced technology techniques.Our range of this product is widely appreciated among various users for its heat resistance, and good chemical resistance.These are available in various sizes, designs to meet the individual requirement of our clients.